A real plus for watching House was the deadly disorder or disease of the week. In a simpler time, half a century ago, medical TV shows were far less sophisticated and demanding. 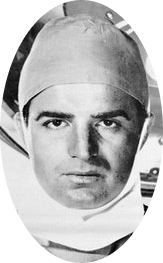 Specifically for one example, Ben Casey seemed to have a single diagnosis — subdural hematoma. We’d just get to identify or sympathize with the suffering patient, when the internal head blood clot diagnosis accounted for all the dreadful symptoms. After all, the doc was a surgeon and like a cabinet maker or auto mechanic, he had a shot at seeing and fixing the problem that way. Viewers had to be pretty dull not to notice that week after week, for 153 shows, the somatic villain was almost inevitably the same. I had a flashback reading yesterday’s paper about Argentina President Cristina Fernandez’ Ben Casey moment. She has, ta da, a subdural hematoma. Unlike the best case in which the body resorbs (dissolves and eats up) the clot, her clot has come with pressure, headaches and lately upper-arm numbness. Those did not improve and her docs decided it was time to go in. The US is still way down the list in longevity and medicine has not in the main made us that much healthier with drugs. Yet fortunately, in a few areas, like surgery, advances have been solid. In Ben Casey, popping the lid to remove a subdural hematoma was a big deal and might well have meant death on the table. Here’s for President Fernandez’ unremarkable operation and cure…and thanks for the memories.